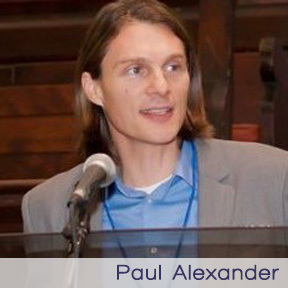 Paul Alexander is Professor of Religion, Ethics, and Public Policy, President of Evangelicals for Social Action, and Director of theSider Center at Eastern University. He serves on the Religion & Sexuality steering committee of the American Academy of Religionand has researched and worked with folks in high risk social action situations in Palestine, Israel, Guatemala, Colombia, and the US. He helped start Pentecostals & Charismatics for Peace & Justice and served as President of the Society for Pentecostal Studies (2013 presidential address, “Raced, Gendered, Faithed, and Sexed“). Maybe check out some of his reflections on white supremacy, whiteness, and race.